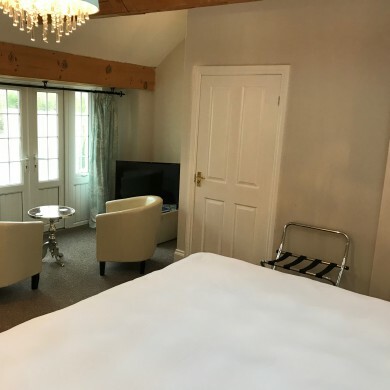 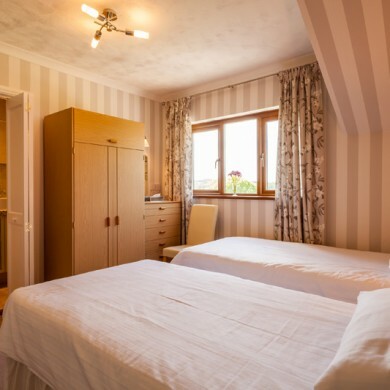 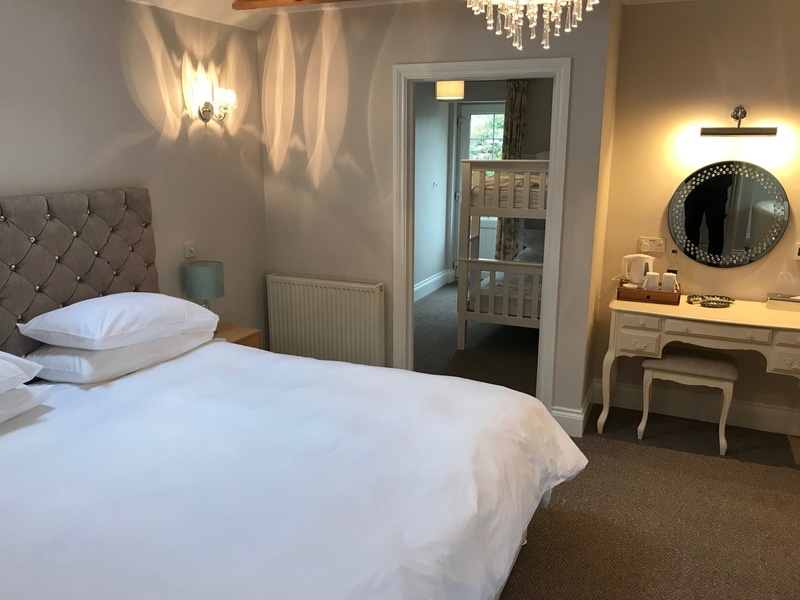 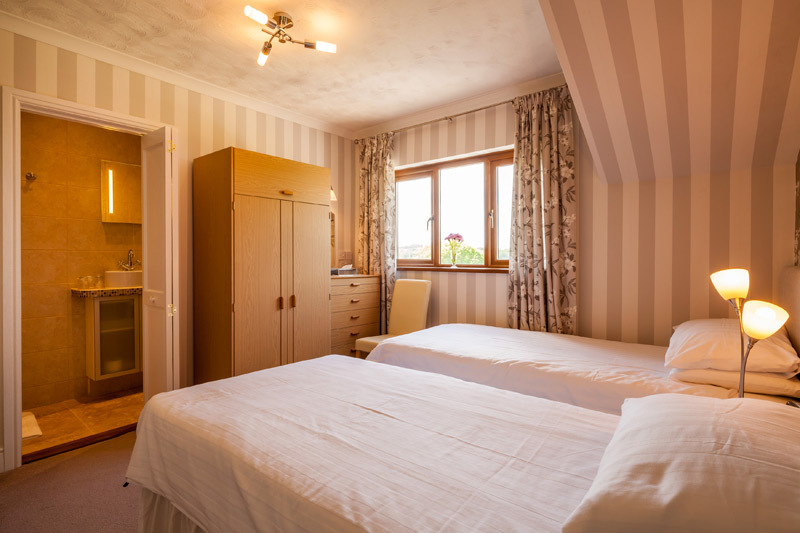 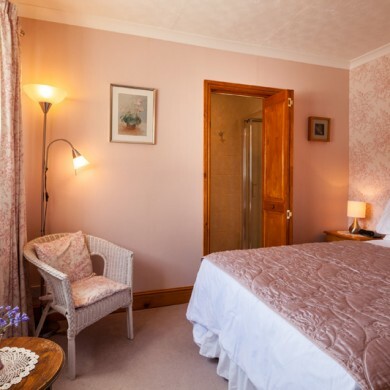 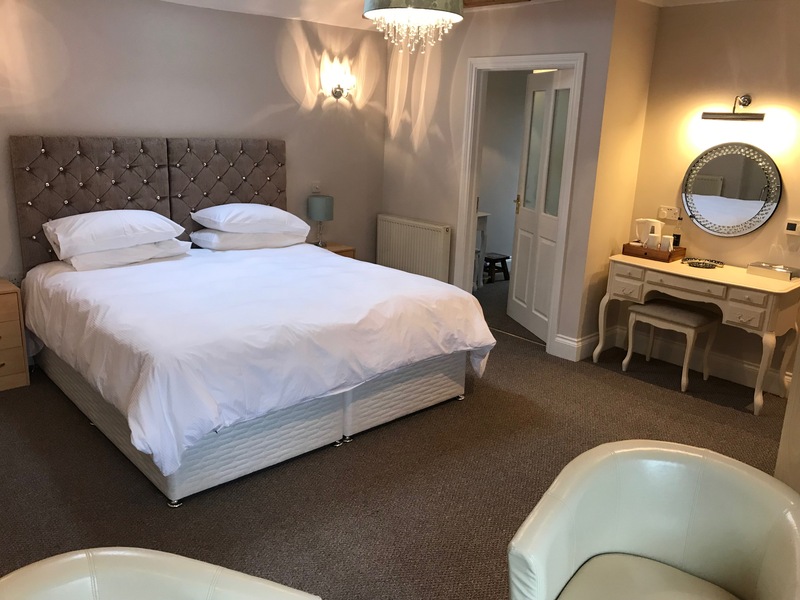 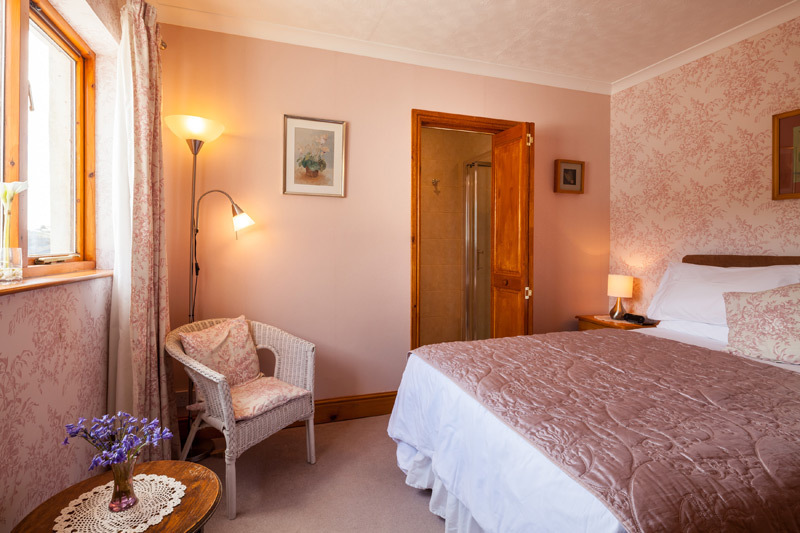 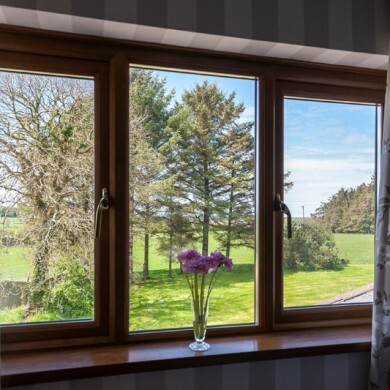 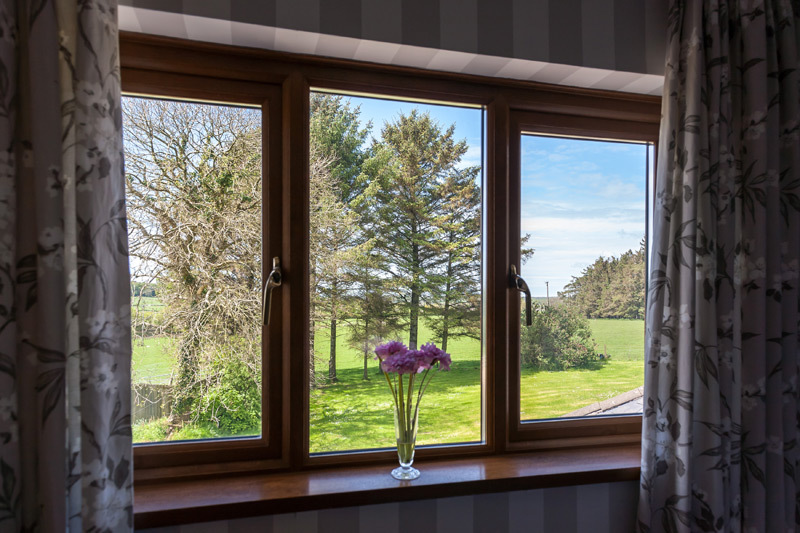 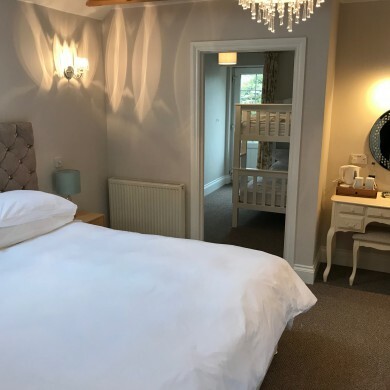 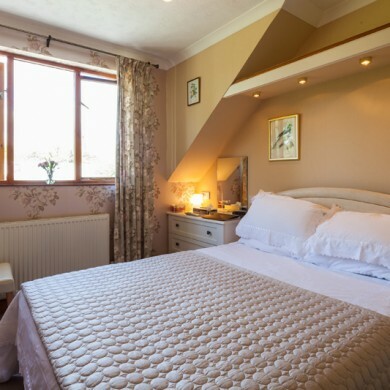 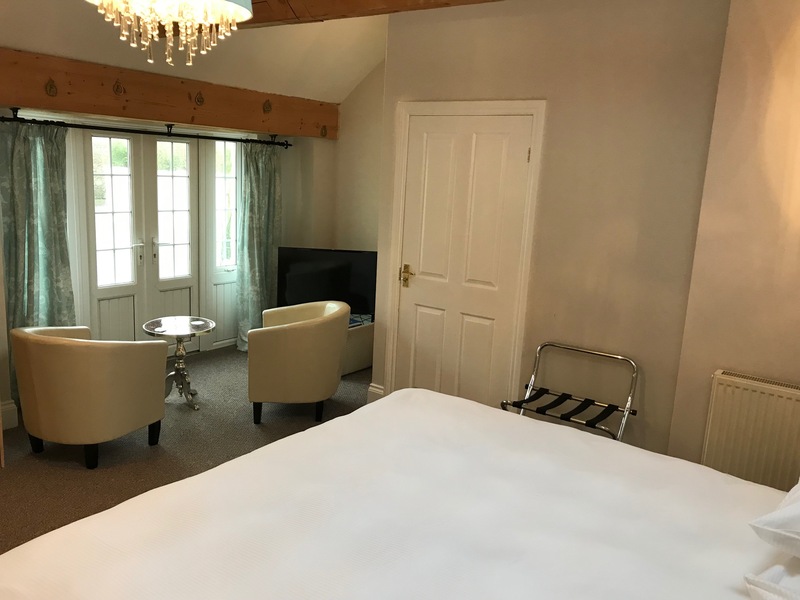 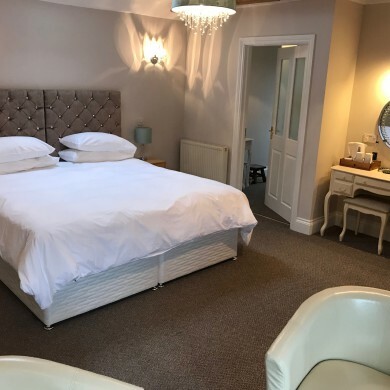 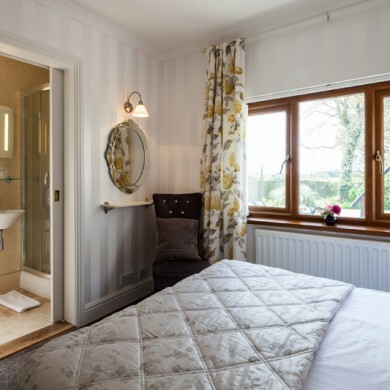 All bedrooms have been tastefully refurbished in contemporary Laura Ashley prints, adding a modern yet homely feel. 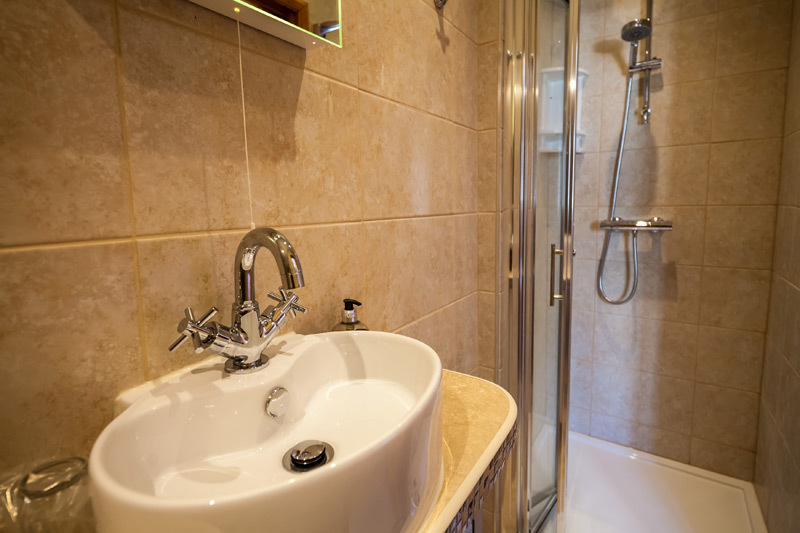 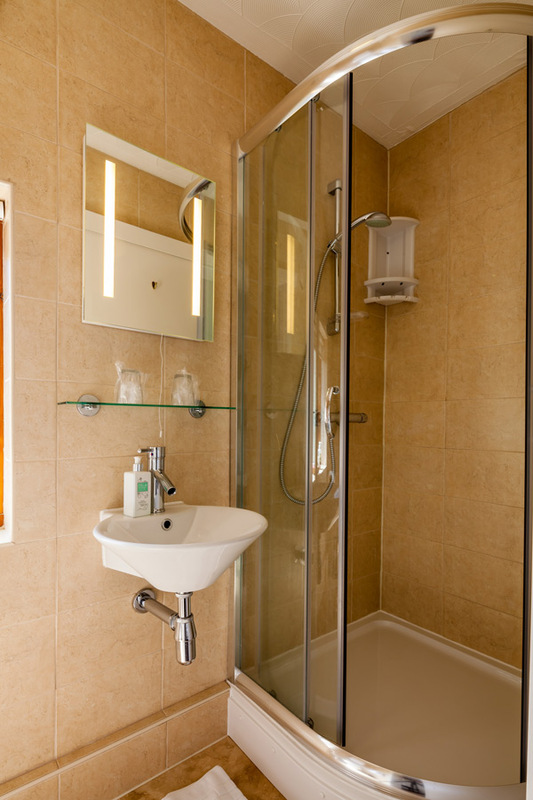 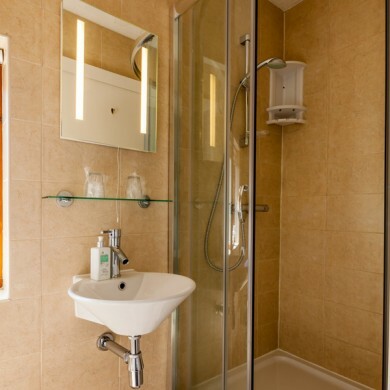 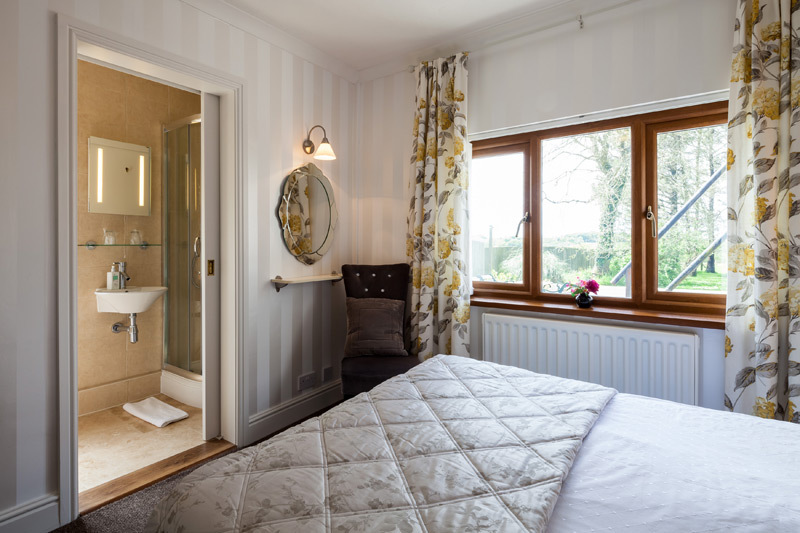 All rooms have a modern shower room en-suite with a heated towel rail, LCD/TV/DVD player. 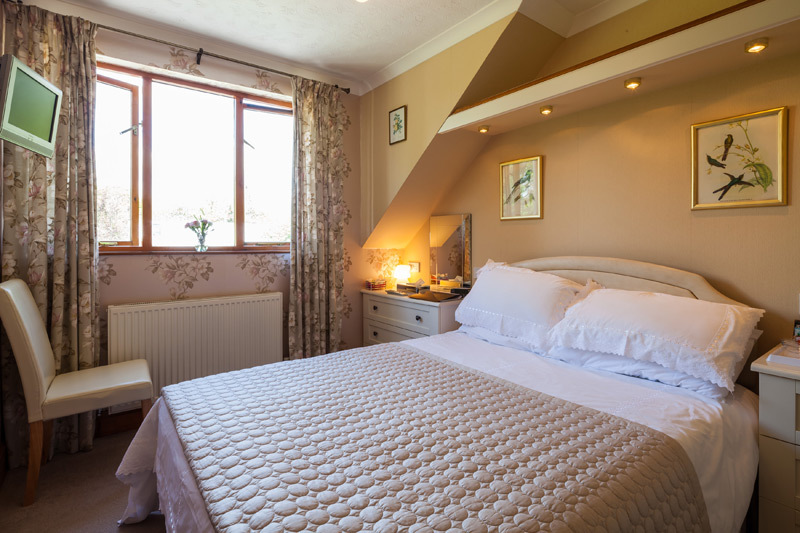 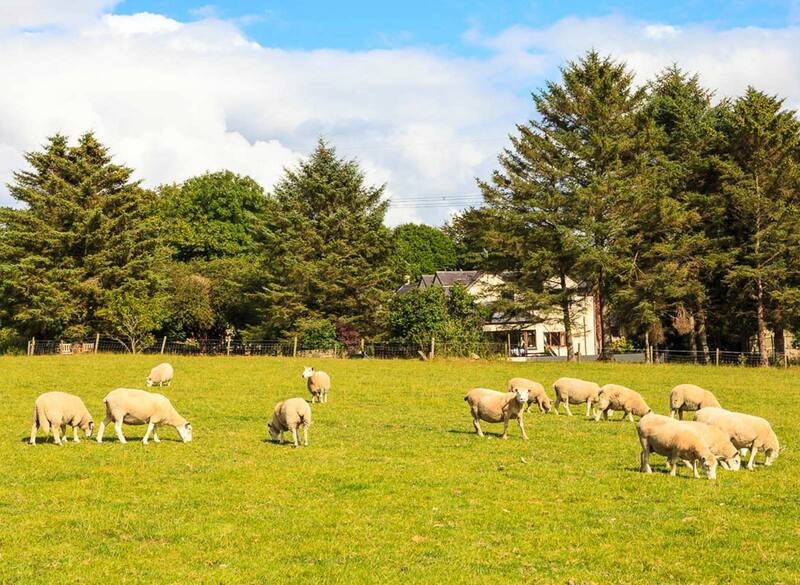 Tea/coffee making facilities with complimentary homemade biscuits and local bottled water. 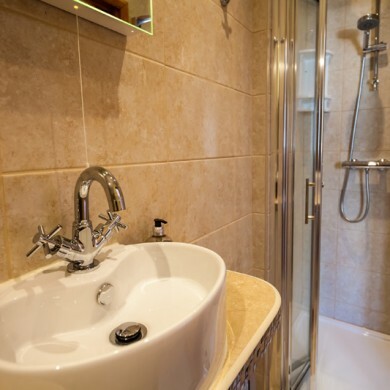 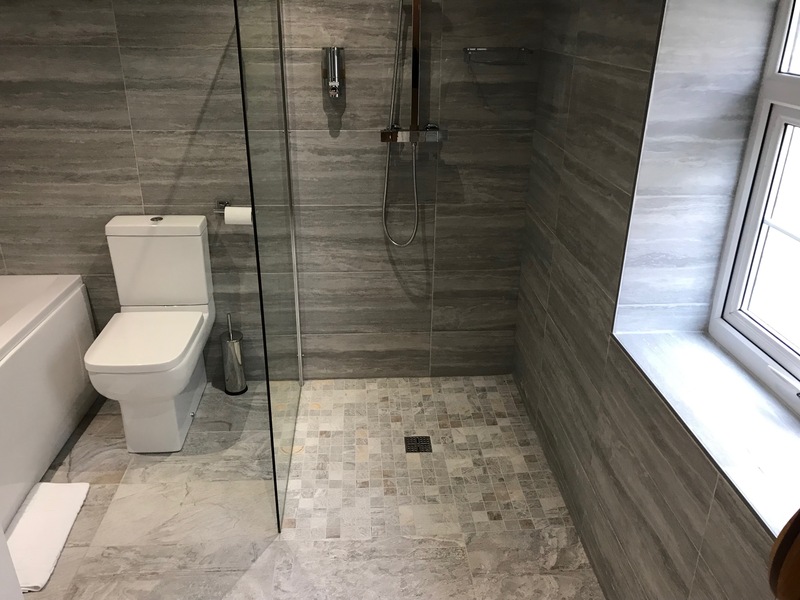 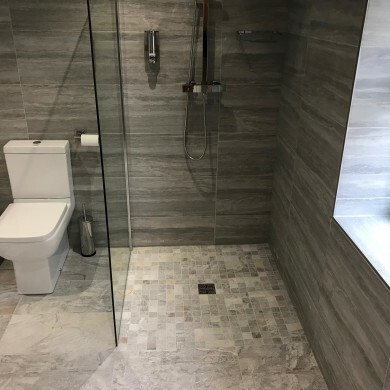 All with a modern shower room en-suite.